Heating Ventilation and Air Conditioning System which people also call as HVAC is one of the most critical systems that are indispensable at our home or office these days. On a hot summer day, turning on the air conditioning system can give you so much relief, and it soothes your soul. You can feel very happy as it keeps you fresh. Heat from the sunlight can raise your temper and spoil your mood. Hence it is necessary for you to plan on installing an air conditioner system at your office or home. To install or repair the system that is in your home, you need to use a professional company to assist you. Of course, there are so many companies that offer HVAC repair in Houston, TX. 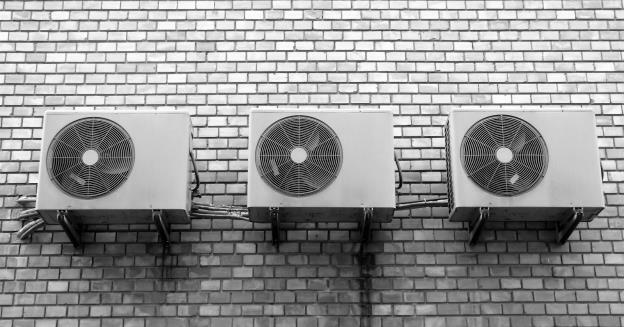 For a person who has no or little experience using an air conditioning system, this can be very confusing. On top of it, most of the companies put in so much effort to intensify their marketing efforts to catch the eye of a lot of people. If you are not little careful when selecting an HVAC repair service company, you might end up choosing a wrong one. It is, therefore wise and necessary for you to follow specific steps to find the best or professional company to work for you. Check the Recommendation: This is an age where you can find anything you want in a click of a button. There are countless reviews, consumer reports, and so many other resources that you can find online that can help you in selecting a company that has a good reputation and name. By checking these things, you will know companies that people trust a lot. Make a list of these companies and then put in efforts to contact them. Check the Documentation: Most people randomly choose a company without putting in any effort. But it is not a wise thing to do as you will end up selecting a company that has staff who do not have experience and expertise. When you pick a company, it is necessary for you to ask them to share with your their profile or portfolio, certificates, and licenses, etc. that can prove that this company is excellent and has the necessary experience. Know Their Clients: You can know if a company is by looking at their client list. Take time to skim through their portfolio to see who are their customers. If companies that are reputable is on their list, it is an indication that it is a good company. Meet Them In Person: Take time to meet the representatives of the company to see how good they are when it comes to subject knowledge, customer service, and other aspects. Get A Quote: After following the above steps, you will quickly identify the companies that are upto the mark. Take a quote for the HVAC repair in Houston, TX. Compare the prices to find a professional HVAC repair company that is affordable to work on your system or the project. These are some excellent steps one should follow to identify the best HVAC repair company in the city.